The Illinois FILM Office released numbers that show Illinois’s film industry continues to grow, with estimated spending in 2016 reaching $499 million. Working with 345 different projects supporting over 13,000 jobs, spending by the film industry was up 51 percent from last year. Illinois has become a center of film and television thanks to various factors from the tax incentives available to the wide-ranging talent. That talent has grown so much that Chicago has been named one of the top 10 cities for the third consecutive year to live as a filmmaker. NBC currently has three shows in its lineup with more coming this spring that are filmed on location in Chicago; “Chicago Med”, “Chicago PD” and “Chicago Fire”. “Chicago Justice”, which dramatizes the people of the Cook County State’s Attorney’s Office, airs in March. Fox’s Emmy-nominated “Empire” is set in New York but filmed in Chicago. The film industry in Illinois is not just confined to traditional cable networks either. Netflix and Amazon film shows in Chicago with Netflix filming “Easy” and “Sense8” and Amazon filming “Patriot”. A large part of the growth can be attributed to Illinois’s 30 percent tax credit on all film expenditures. The tax credit is only one in the nation that sets a diversity standard in an attempt to generate opportunity in economically disadvantaged areas. For more information about the Illinois Film Tax Credit and all Illinois has to offer to the film industry, you can visit the Department of Commerce and Economic Opportunity’s film office. Koval Distillery, the largest craft distiller in Illinois, will quadruple its operation in Chicago’s Ravenswood neighborhood thanks in part to a new state law that enabled it to boost production and make a stronger investment in the local economy. Koval president Sonat Birnecker Hart told the Chicago Tribune that the distillery is committed to staying in Chicago. With the purchase of the building Koval has been using on North Ravenswood Avenue, the company will increase its 11,000-square-foot operation to more than 45,000 square feet. This purchase will allow the distillery to combine its multiple locations under one roof and to increase its production from 70,000 gallons to 100,000 gallons each year. A new state law in Illinois increased the production cap for craft distillers from 35,000 gallons to 100,000. 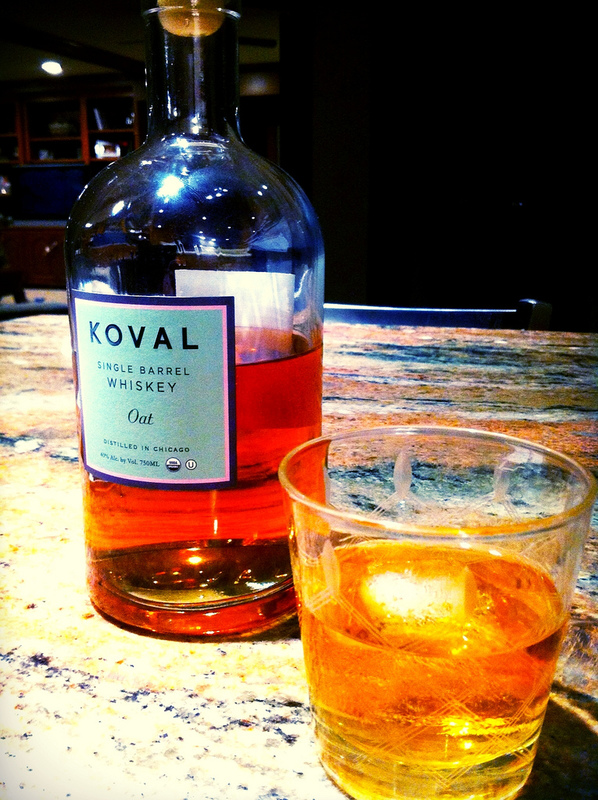 Koval was established in 2008 and produces organic whiskey and spirits. The company makes its products from scratch, contracting with local farmers to grow their grain and milling it on site. All of Koval’s whiskeys are “single barrel expressions” to ensure a pure flavor. The company has won numerous awards, including a gold medal for its bourbon whiskey at the International Whisky Competition and a platinum award for its rose hip liqueur from the Spirits International Prestige Awards. Koval employs about 40 workers and expects to hire more after the expansion. It also plans to build a new tasting room to attract tourists and show visitors how spirits are made. A tragic coal mine fire in Bureau County 107 years ago was the impetus behind Illinois becoming a national leader on workers’ compensation and workplace safety laws. In 1909, the Cherry Mine in Bureau County employed more than 500 men and produced 1,500 tons of coal daily to fuel locomotives for the Chicago, Milwaukee and St. Paul Railroad. Immigrant mining families flocked to Cherry for steady employment in what was considered one of the safest mines in the country at the time. On Nov. 13 that year, a kerosene torch dripped hot oil on a cart of hay for the mules that worked inside the mine. 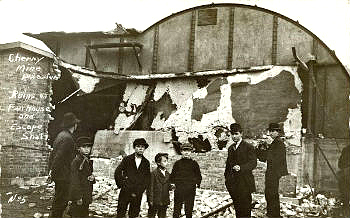 The hay smoldered unnoticed and a blaze eventually erupted, blocking the escape of many of the miners working that day. When all was said and done, 259 of them perished from burns and asphyxiation, leaving behind 500 fatherless children and 160 widows. Researchers at the University of Illinois at Urbana-Champaign have developed a flexible patch that monitors if you need to rehydrate. The new device is placed on your forearm or lower back. It absorbs sweat and tests for glucose, lactate, chloride and pH levels to determine if you are overworking your body. Circles in the patch will change colors as they test your sweat. A smartphone app analyzes the color of the circles and determines the contents of your sweat. The patches are designed for a single use and can monitor sweat for up to six hours. Although the design is still a few years away from completion, it could be used to warn athletes or military personnel when they are nearing overexertion before it’s too late. An Illinois-based startup company is hoping to be the next big thing on the web for people looking to shop online. The website, Maven, pays people a commission to recommend certain products that they have to other people. Being described as “Pinterest with Pay”, the website has partnered with 3,000 merchants and 1,000 “mavens” to recommend goods from fashion to home décor. Mavens can earn a commission of up to 20 percent for recommending goods to people on the web. Maven CEO Jess Waldeck’s own favorite Mavens are Cheryl Leahy for her suggestions for tassel earrings, and Alison Pittas for her suggestions on food and books. For more information about Maven visit their website.